100% Silk Burberry Blouse, Silver / Grey. Size 10 / 12 (US Size 8). Worn once. Condition is Pre-Owned. Sent with Australia Post Pre-Paid Parcel Post Satchel 500g. Beautiful blouse with lovely detailing. Silver/Grey colour. Excellent condition. I have other beautiful items for sale and am happy to combine postage! Authentic Id -THCIMCOUMAH. Size- AU 8/ UK 8/ US 6/ IT 40/ Small. "MADE IN TUNISIA". 96% Cotton 4% Elastane. AU 4/ UK 4/ IT 36/ US 2. Authentic Id- TNCIMCOUMAH. "MADE IN TUNISIA". 97% Cotton 3% Elastane. Timeless Burberry Blouse. Size UK8 USA6 ITA40 GER36. MSRP US $425 Colour: Dusty spearmint Full silk lining and a hidden zip at back of neckline. Check out my other items for combined postage. Strings, flags & burberry patterns (see photos). Beautiful blouse with long sleeves - colorful. Fancy a pair of shoes or boots with your outfit?. 2 buttons on the sleeves - comfortable to wear. Veil of slightly transparent cotton. Burberry blue label "M size" cut and sewn. color White Pink. Super beautiful goods with little feeling of use. Stain very good mint condition. Scratches. goods of good quality with Stain. There is a feeling of general use such as Rubbed. Burberry blue label '38 size' cut. Super beautiful goods with little feeling of use. color black. Goods that can be used normally. We are not able to mark the item as 'gifts'. P.O box correspondence. For sale is a Burberry London Nova Check Shirt, size large, in a mint condition. This 100% cotton shirt is in a flawless condition. arm pit to arm pit 18" length 24" sleeve length 18" arm pit to cuff Treasures from Westchester offers you fast next business day shipping & promises you a no hassle resolution to any situation. Our very positive feedback & sales history is proof that you will receive top notch service. To visit the store, just google Treasures From Westchester, were you will find hundreds of items on sale with savings up to 25% off. Less costly FedEx ground is available for our western & southern customers as well as Priority mail for our eastern customers. 8 (Good item ??. unused item. It is Burberry's long sleeve cut. The collar is becoming a zip and it is easy to change clothes even by children. faSHionable design. color Red Beige. 9 Super beautiful goods with little feeling of use. ). 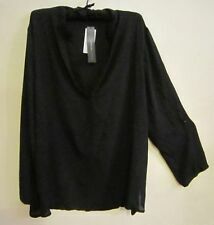 100% original Burberry woman shirt. The shirt is in good condition, there are more specks (photo). Spalla-Spalla 39 cm Shoulder-Shoulder 15.4". Ascella-Ascella 49 cm Armpit-Armpit 19.3". Burberry [BURBERRY] "M size" is a cut. Super beautiful goods with little feeling of use. color Black red series. We are not able to mark the item as 'gifts'. P.O box correspondence. ※It fluctuates by weight and size. 27" sleeve length. 22" armpit to armpit. Size Type Regular. Color Blue. 30" neck to bottom length. 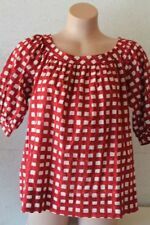 Style Blouse. We have offices in the United States, Hong Kong and New Zealand. Color: Bordeaux. 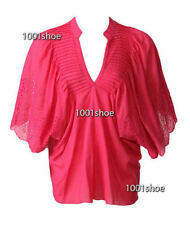 blouse in sail and lace. Material:label cut but it's the viscose. length of the collar to the bottom caught in the middle : 68 cm. condition: in very good condition. Color White White Red Gray Gray. Super beautiful goods with little feeling of use. Stain There is a very good mint condition. Stain There are good quality goods. Goods that can be used normally. Burberry [BURBERRY] "2 size" is a cut. Super beautiful goods with little feeling of use. color Brown type. Goods that can be used normally. We are not able to mark the item as 'gifts'. P.O box correspondence. "MADE IN UNITED KINGDOM". machine Washable. AU 12/US 10/ IT 44/Large. AU 8/ UK 8/ IT 40/Small. Authentic Id - TNCIMCOUMAH. "MADE IN TUNISIA".